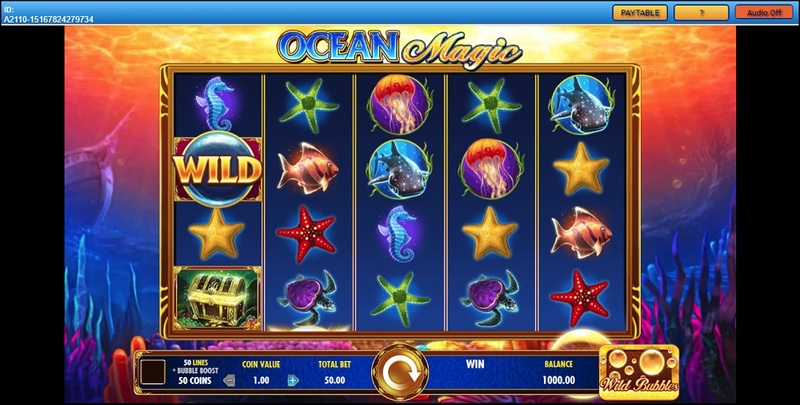 Immerse yourself in the magic of the sea with this beautiful underwater journey into the depths of the ocean to see turtles, starfish, sharks, seahorses and much more. There’s nothing as magical on planet earth as what lies beneath the surface of the sea. For anyone who’s watched Blue Planet, you’ll know that the ocean provides a wealth of mystique and unimaginable wonder. 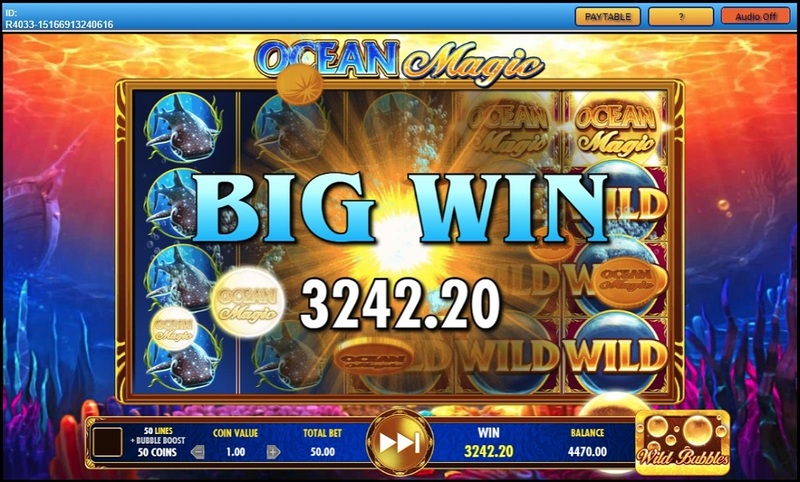 Ocean Magic Slots does a good job of unearthing that wonder from inside of you with its carbonated sound effects, its shimmering background animation, and its cool bubble boosts. 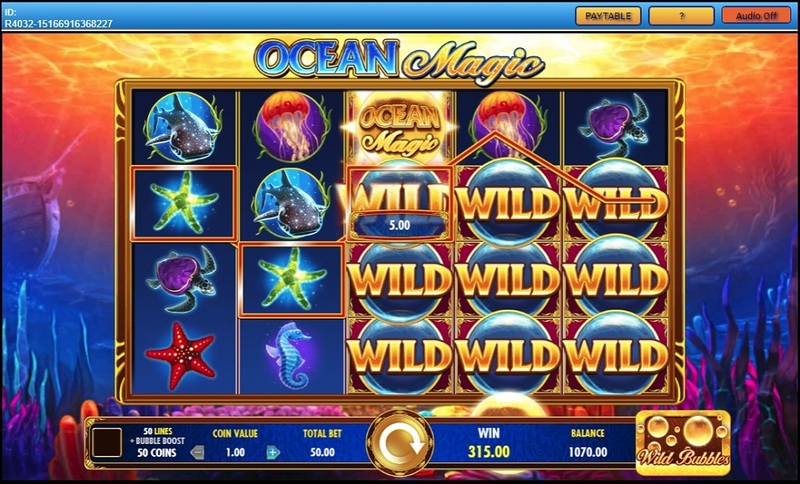 The graphics are really very good, plus, the transitions when you press that spin button are smooth and seamless, which kind of adds to the aura of Ocean Magic. The majority of the symbols are all related to the sea with a shark, a jellyfish, a fish, a turtle, a seahorse, starfish and seaweed all featuring plus an Ocean Magic symbol. 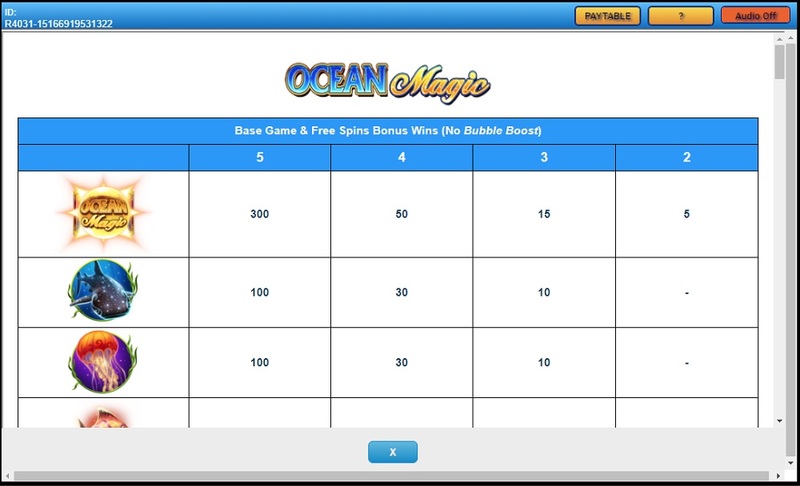 The best symbol to hit is the Ocean Magic symbol which returns very decent odds of 250/1 if you hit five in a row. The shark is next, then jellyfish, fish, turtle, seahorse, yellow starfish, red starfish, and finally seaweed. 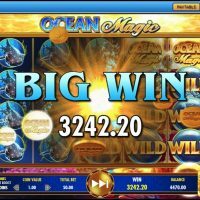 There is a bonus round and a chance to get free spins on this game which can be activated by hitting a set of wild symbols and getting the shiny looking golden bubbles to the top of the page. The bonus feature is quite hard to get to, but boy it is lucrative if you get there. 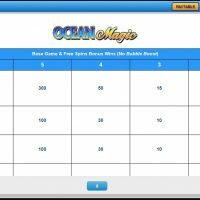 You can’t bet on lines on Ocean Magic and you can only bet between 50p and £500 per spin, so it’s quite a high-risk big-reward kind of game if you want it to be, and budget game if you want it to be. The house edge is an average 5.9%. There is no autoplay feature, which is quite strange for such a modern game. Under the sea, darling it’s better, down where it’s wetter, take it from me. 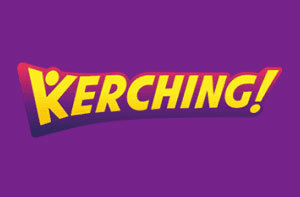 Well, that’s how the song goes anyway, and this game is living proof (kinda)! 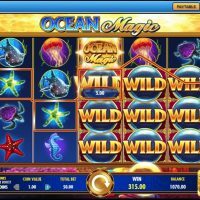 Ocean Magic offers up wonderful graphics, a real immersive feel, and cool, shimmering visuals which just leaves you longing to stay on the game as you soak up all that good, serene feeling. 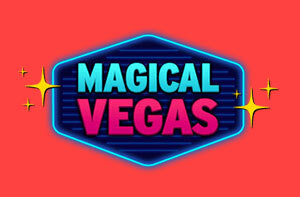 And it’s not only the visuals that makes this game so great, it’s also the odds with highs of 250/1 on offer! 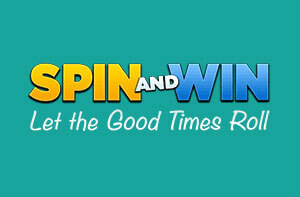 The only thing that lets this slot down is the house edge which is quite a steep 5.9%.